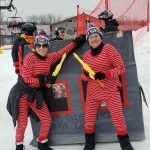 What a great day for fun at MRM Mar 9th! We started the day with a recognition breakfast for our patrol directors (pictured at right) and Alumni Day. 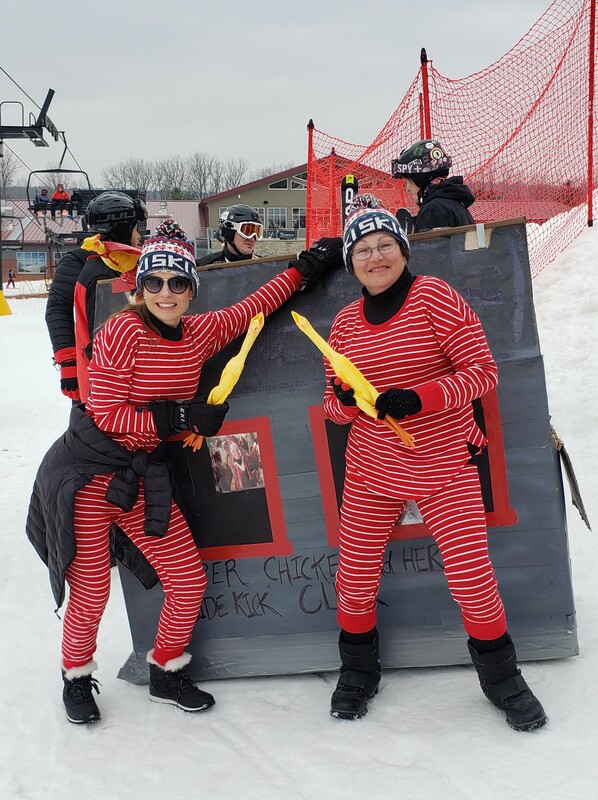 Then it was off to the races – cardboard that is – with many of our patrollers participating and two great entries by the patrol, followed by Pond Skimming. More pictures in our Photo Gallery. 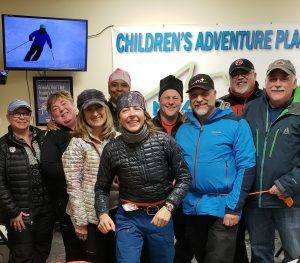 L-R:Jim Vickroy, Mack Logan, Whitney Hohlbein, Boris Terebuh, Gwen Reichert, Tom Reichert, Twyla Southall, Ken Okoye, Dugan McAdams, Mike Chizever, Sallie Evans, Chet Stanley. Congratulations! 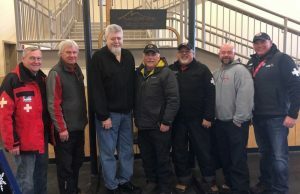 Congrats to Shawn Roush for passing his AASI Level I! 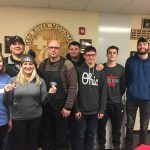 Way to go and another enhancement to our training team. 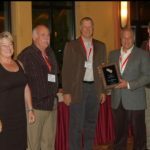 More success to share! 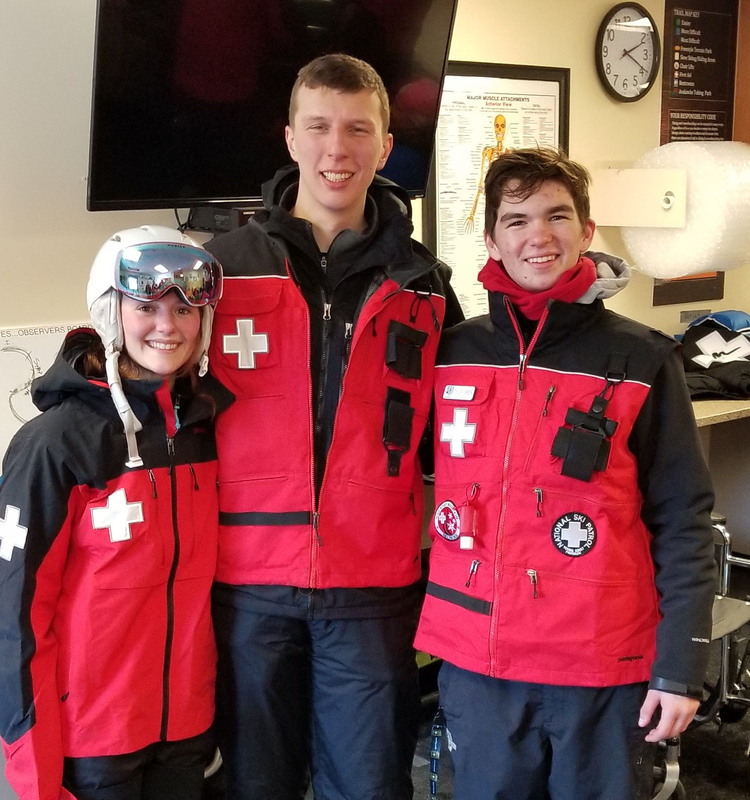 Congrats are due to Wally Taylor and the father/son team of Justin Tugaoen and Jonah Tugaoen for completing their Senior Alpine Patroller status with the success of their Sr. Toboggan testing. Way to go! TRAIN the Trainers! 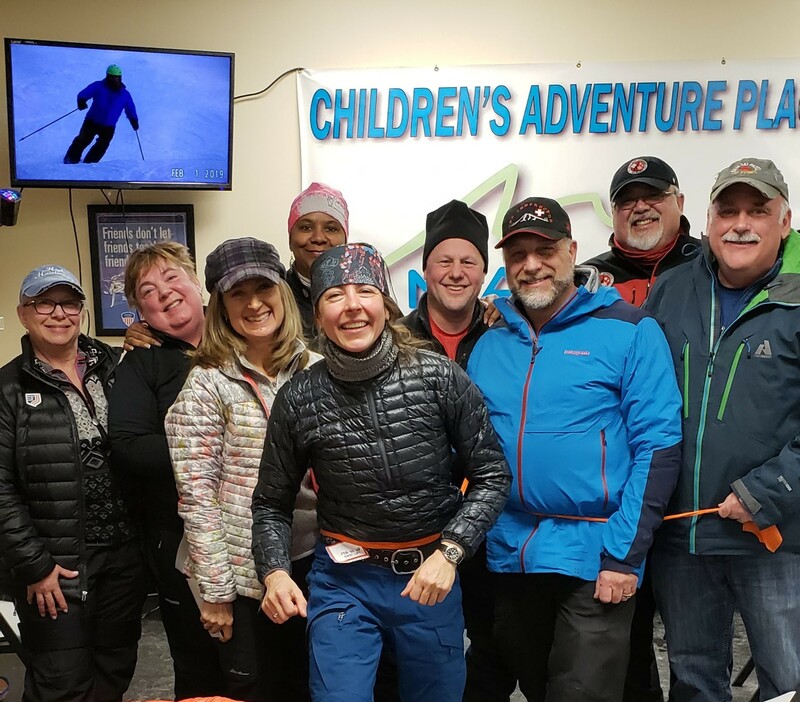 Eight members of our training team had the opportunity to do an afternoon of training with Heidi Ettlinger, of the PSIA Alpine staff (D Team). Heidi inspired and peaked our interest with new ideas as always!! 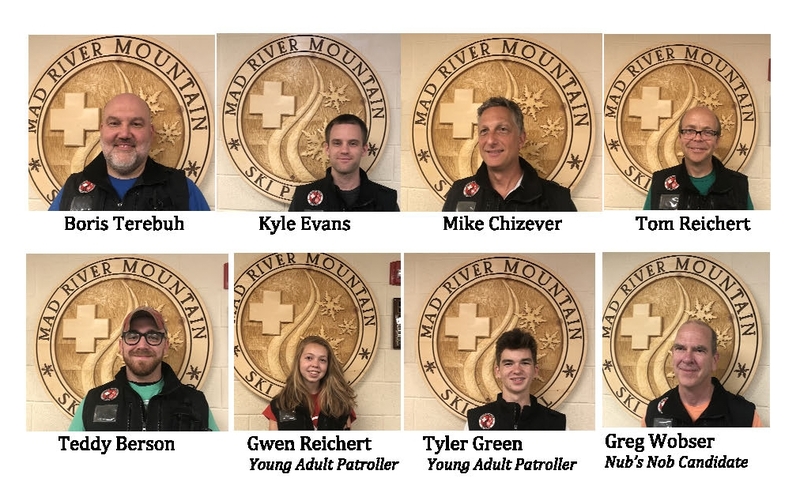 We are pleased to welcome the initial class of Mountain Hosts, who just passed their Outdoor First Care test and will become active participants in our patrolling. 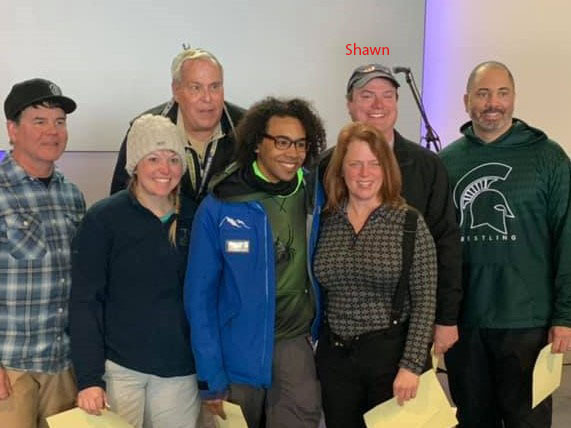 Pictured left to right – Sylvia Woodruff (YAP), Mark Woodruff, Saundra Woodruff, Eric Trent, Jason Paine, Shawn Paine (YAP), Joe Stefko, and Dana Parsons. 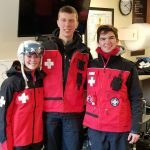 MRM Ski Patrol now has a great bank of You Tube Videos to provide training and refresher how to’s on a variety of procedures. Check out the latest on How to use the carrier to transport toboggans back uphill and Subscribe to our channel! See full list of videos here: You Tube Training Videos. 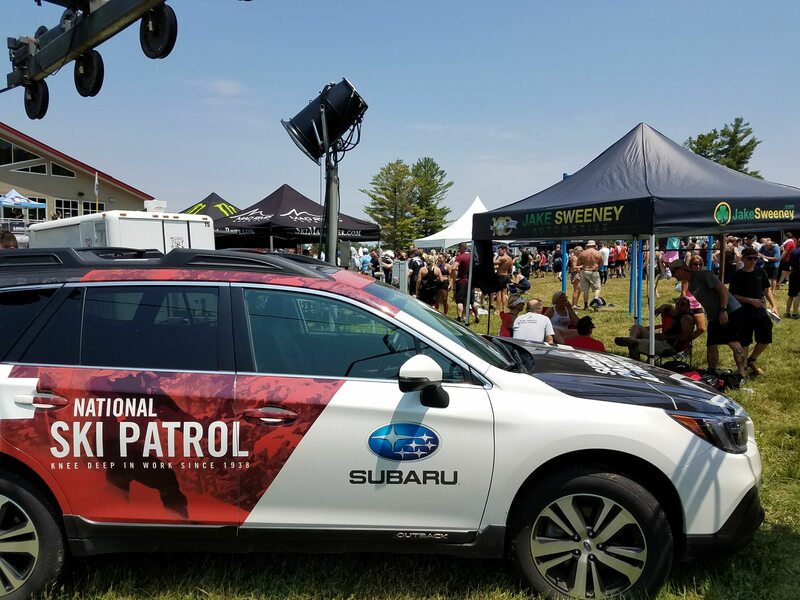 Radios – If thinking about purchasing a new personal radio for use while patrolling, check here first. 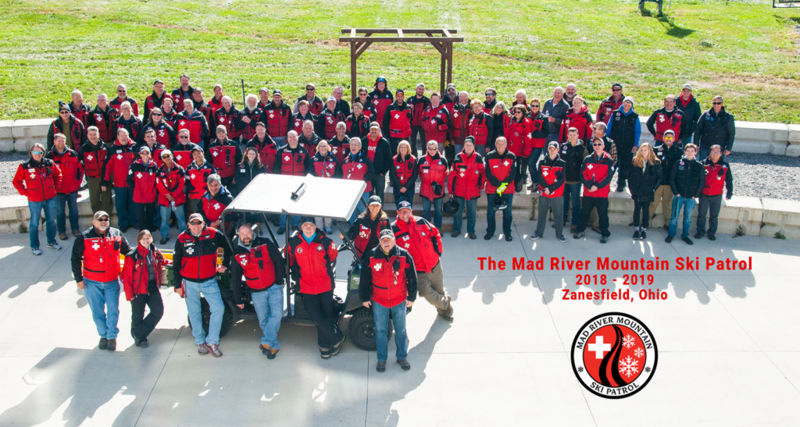 At the fall division meeting, we had two Mad River patrollers among those recognized for outstanding achievement within the Central Division. 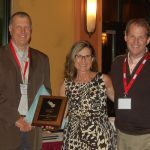 Troy Southwick: Division Directors Award, for implementing the toboggan instructor movement analysis program; Cheryl Raudabaugh: Central Division Outstanding Supervisor, for work in the Skills Development Programs. 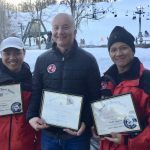 The Rusty Parka newsletter shows lots more awards given to hardworking patrollers across the division, including BM/BW/AV as the National Outstanding large alpine patrol, awarded a Gold Unit Citation. We all have stories that are indelibly etched in our memories. Please consider sharing yours with the patrol. See other stories here and email your personal story to Cheryl to contribute. 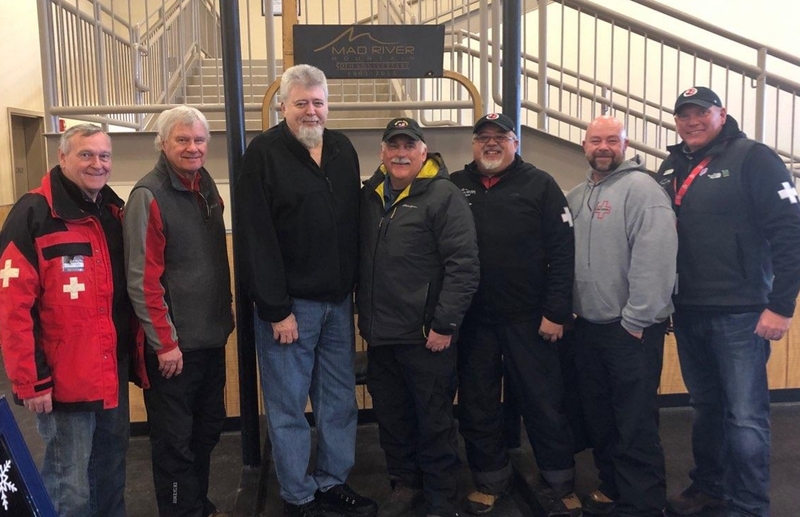 A Big Congratulations and job well done to our newest candidates, with eight passing their OEC Practical test Aug 12 to become OEC Technicians. Welcome them aboard. CALENDAR Keep an eye on our calendar. We have lots of events and development activities on the horizon. What are you doing for self-improvement this year? 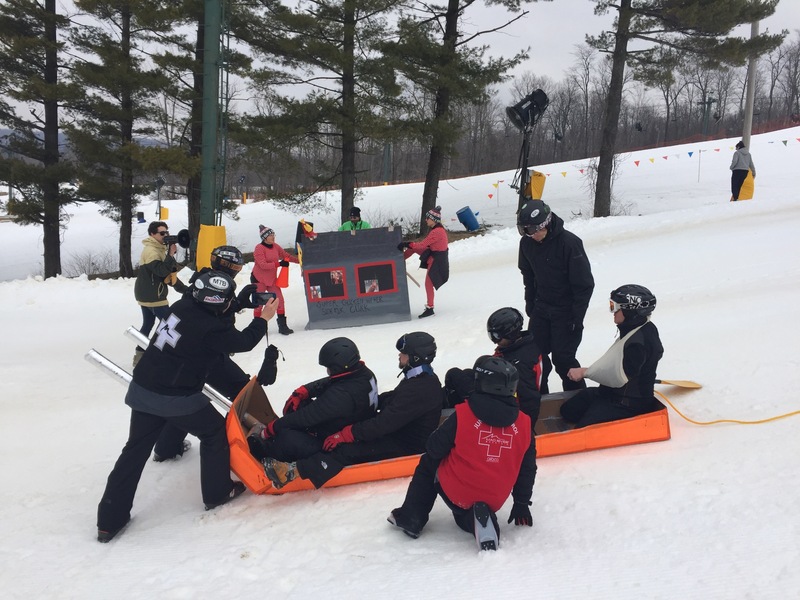 Become part of the Senior Programs, consider a Ski Enhancement, Toboggan Enhancement, or OEC development opportunity! Nothing to lose and so many possibilities to gain!! MRM Organization Chart See who leads our volunteer organization in the various functions that it takes to run the show. 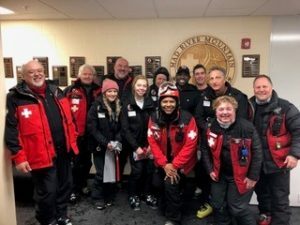 Our 100+ volunteer members provide service, safety, and emergency care to snowsports enthusiasts that visit the Mad River Mountain Ski Resort.Mad River Mountain Ski Resort boasts a 300 ft vertical covering 120 acres of pristine snow generated by Mother Nature, or Mad Rivers 100+ snow machines.Please feel free to check out our site and information about us . Thanks for stopping by. 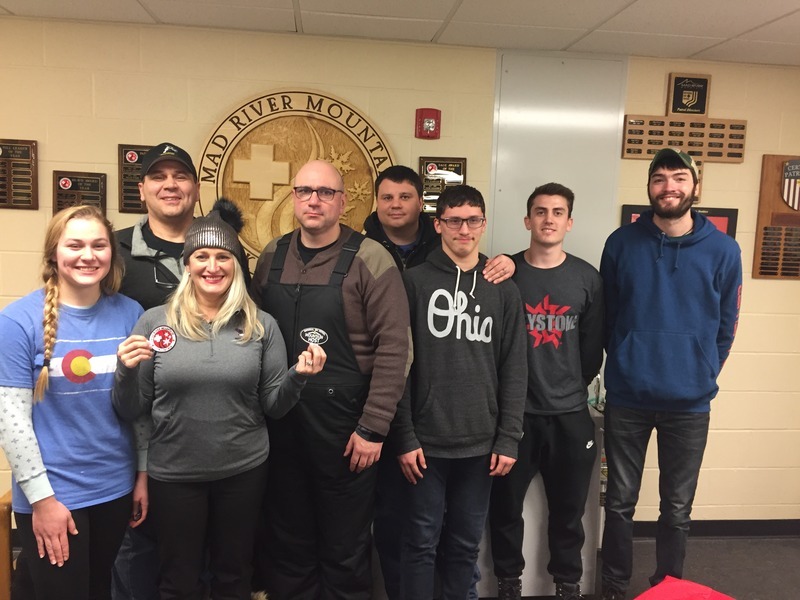 The Ohio Region 2016-2017 & 2013-2014 Outstanding Ski Patrol! 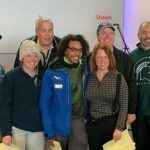 The Central Division 2008-2009 Outstanding Ski Patrol!